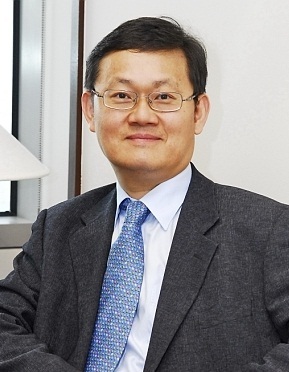 Jong-Wha Lee is a professor of economics and director of the Asiatic Research Institute at Korea University. He served as a senior adviser for international economic affairs to former President of South Korea. He was also previously Chief Economist and Head of the Office of Regional Economic Integration at the Asian Development Bank and an economist at the International Monetary Fund. He has taught at Australian National University, Harvard University and Peking University and served as a consultant to the Harvard Institute for International Development, the Inter-American Development Bank, the International Monetary Fund, the United Nations Development Programme, and the World Bank. Lee has written and published extensively on topics relating to human capital, growth, financial crises, and economic integration in leading academic journals such as American Economic Review, Journal of Monetary Economics, Journal of International Economics, Journal of Development Economics, Journal of Economic Growth, and Review of Economics and Statistics. His most recent books include Is this the Asian Century (World Scientific, 2017), Crisis and Recovery: Learning from the Asian Experience (World Scientific, 2016), and Education Matters: Global Schooling Gains from the 19th to the 21st Century with Robert J. Barro (Oxford University Press, 2015). He was awarded Cheongram Prize (best young Korean economist), Maekyung Economist Award in 1997 and Dasan Economics Award in 2015. He is a regular columnist for Project Syndicate and Korea JoongAng Daily. A citizen of the Republic of Korea, Dr. Lee obtained his Ph.D. and Master’s degree in Economics from Harvard University, and his Master’s and Bachelor’s degrees in economics from Korea University in Seoul. My Facebook page at Facebook.